Sunnyvale, California – November 15, 2010 : Vitria, a leading provider of Operational Intelligence products and solutions, announced today that it was named the winner of a 2010 Leadership Award in the category of Operational Intelligence and Complex Event Processing by Ventana Research, a leading benchmark research and advisory services firm. Vitria’s M3O Operational Intelligence Suite gives enterprises the ability to visualize, analyze, and act in real-time on operational data originating from a wide variety of information sources. The M3O Suite enables decision-makers to respond to changing business conditions, and increase operational efficiencies and overall responsiveness. This can help a business maintain customer satisfaction and retention, reduce operating costs, and increase revenue. 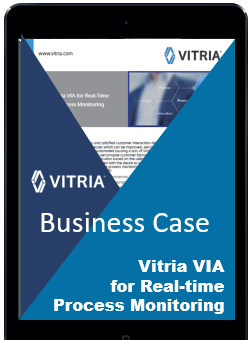 Vitria enables organizations to move beyond traditional business analytics with groundbreaking capabilities that give users greater control to manage their business. Through the M3O Operational Intelligence Suite, customers are realizing such benefits as revenue boosts from increased customer satisfaction and marketing effectiveness, improved governance and regulatory compliance, enhanced worker productivity, better utilization of operational resources, and improved operational efficiencies.